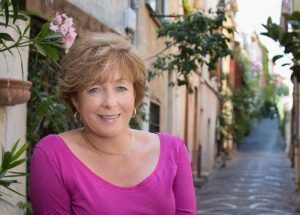 My guest today is Patricia Sands who lives in Toronto, Canada, when she isn’t somewhere else, and calls the south of France her second home. 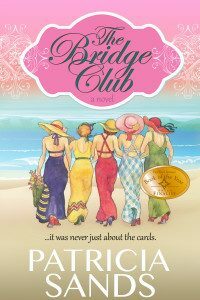 She is the award-winning author of The Bridge Club and the best-selling Love in Provence trilogy. 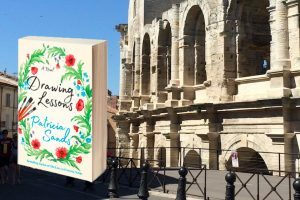 Her fifth novel, Drawing Lessons which is also set in the south of France, was released by Lake Union Publishing on October 1, 2017. Find out more at Patricia’s Facebook Author Page or her website. 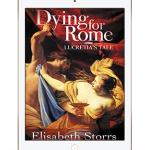 There you’ll find links to Patricia’s books, social media, and a monthly newsletter that has special giveaways, photography from France, and sneak peeks at her next book. She loves hearing from readers. Follow her on Instagram @patricialsands Twitter, Pinterest, Youtube and LinkedIn. You will find links to all her books on her Amazon Author Page. Stephen King’s book On Writing: A memoir of the craft truly was influential in giving me the courage to pursue publishing. I often share this nugget that made the difference for me. He said (and I paraphrase) if you feel so strongly that you have a story to tell, sit down and write it. Don’t worry about style or mistakes. Simply tell your story. Find your voice. Then find a reputable editor to work with. I’m influenced on a regular basis by many authors, but Canadian author Carol Shields is my idol. I was compelled to write the story of Drawing Lessons knowing a woman who had experienced a similar situation with her husband’s illness. Can there be a more difficult decision than for a spouse to move on with his or her life when their partner is alive but confined to a full-time support facility and unable to recognize or communicate with anyone? The path that I chose for my character to follow is fiction. However, in researching my facts I had conversations with many artists. One was particularly poignant. After I gave her a short description of the story on the phone, I realized she was crying. “You’re telling my story,” she said. Then she explained that her husband had been similarly afflicted. Like Arianna, my protagonist, she had gone on a two-week artists’ retreat in the south of France that changed her life. As a reader, I am in love with historical fiction through all ages. As a writer, my stories are set in current time. I’ve pondered that question and feel it is because I want to share what I’ve learned of life in my later years. I write to my demographic (women over 50) and share stories that might impact us all. My husband and I have been spending time in the south of France for the last twenty years. For the ten years that I’ve been writing, those trips have turned into research opportunities. We spend extended time living in villages like a local. I’m also a photographer, so have a wealth of information and memories stored in thousands of photos. Apart from only writing about places I know, I also interview people connected with specific subject matter. Of course, reading and google research all comes into the mix. It took me just under a year to write Drawing Lessons. I put a line of question marks and return to the spot later. I love to have background noise when I write. I listen to a lot of music but also will write in noisy settings if we are traveling. I find it more difficult to concentrate if it is too quiet while I’m writing. One unusual result of writing my stories is that I co-lead a small (16) group of women on a 12-day tour to visit the locations in my stories. I’ve just returned from doing this for the fifth summer and it is great fun! 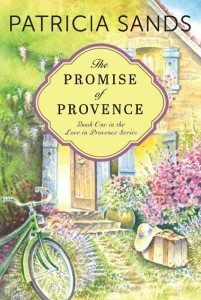 I’ve attached a photo that I use on my website and is also replicated on the cover of Book 2 of the Love in Provence series. 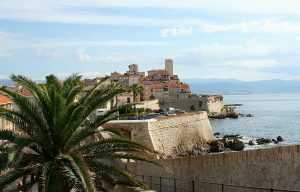 Many years before I began writing, I fell in love with the old town of Antibes and the changing light on the hills across the bay, right back to the Alps. My heart lives there. Keep believing in yourself and write something every single day. 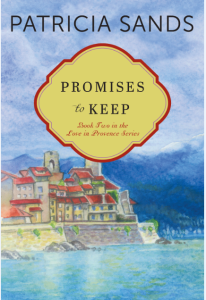 I’m deep in edits for a Christmas-themed novella that involves the characters from my Love in Provence trilogy. I regularly hear from readers who are eager to know what is happening in their lives on the Cap d’Antibes. 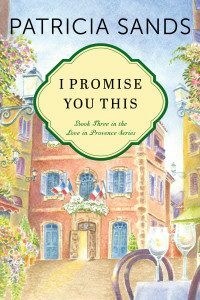 Sixty-two-year-old Arianna arrives in the South of France for a two-week artists’ workshop full of anticipation, but burdened by guilt. Back home in Toronto, she has been living with the devastating diagnosis of her husband’s dementia and the heartbreak of watching the man she’s loved for decades slip away before her eyes. What does her future hold without Ben? Before her is a blank canvas. Encouraged by her family to take some time for herself, she has traveled to Arles to set up her easel in the same fields of poppies and sunflowers that inspired Van Gogh. Gradually, she rediscovers the inner artist she abandoned long ago. Drawing strength from the warm companionship and gentle wisdom of her fellow artists at the retreat—as well as the vitality of guest lecturer Jacques de Villeneuve, an artist and cowboy—Arianna searches her heart for permission to embrace the life in front of her, and like the sunflowers, once again face the light. Patricia has kindly offered to giveaway one digital and one paperback copy of Drawing Lessons. Subscribe to my Monthly Inspiration newsletter then comment on the interview to go into the draw. Competition closes 5pm PST 28 November 2018. I love reading stories about inspiration. It is often something unexpected. Thanks for sharing. I want to read this fascinating book! I subscribed to newsletter. Thank you for the chance. Lovely interview! I’m very excited to read the new book inspired by Van Gogh and set in France. I’m commenting to enter the drawing for a paperback copy of “Drawing Lessons” by Patricia Sands. Thank you so much! I subscribed! And thanks for the lovely interview with Patricia. Her books sound wonderful! Love the interview. I have subscribed!! Thank you. I can’t wait to read this! Just from the interview, I know this book will be great! This sounds Fabulous 🤩 thanks bunches for the opportunity!